Akshay Kumar and Bhumi Pednekar starrer upcoming social romantic drama Toilet Ek Prem Katha is all set to inspire you from 11th of August 2017. As per schedule, official trailer of the movie was released on June 11 during India vs South Africa cricket match mid-innings show on Star Sports and social platforms. Just a minute later, superstar Akshay took to twitter to share the trailer. He wrote, “A love that started a revolution! Here’s the #ToiletEkPremKathaTrailer”. Sharing the same, actress Bhumi tweeted, “Keshav aur Jaya ki anokhi prem kahani! Presenting the #ToiletEkPremKathaTrailer”. The 3 min trailer is undoubtedly very promising and hits the bull’s eye. It gives a clear picture about movie’s plot, which looks very interesting and relevant. 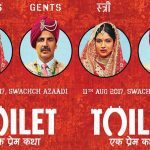 Being a satirical movie, Toilet Ek Prem Katha seems like a perfect package to inspire everyone with a balanced dose of entertainment. 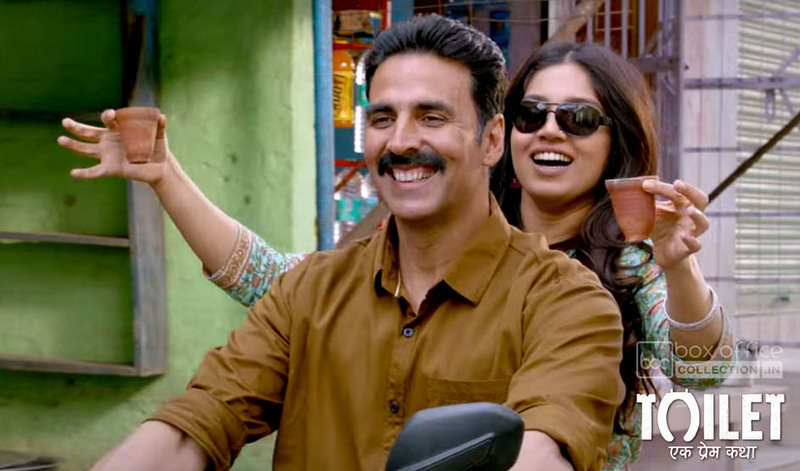 Akshay Kumar, Bhumi Pednekar, Anupam Kher, Sudhir Pandey and Divyendu Sharma, all are looking perfect in their roles. Beside casting, movie’s dialogues are also adding power to the scenes. Overall the trailer has done it’s work excellently, generated more hype for the movie. Now all are looking forward to it’s music and release, which is on 11 August. Shree Narayan Singh’s directorial Toilet Ek Prem Katha is produced by Viacom 18 Motion Pictures, Arjun N. Kapoor’s KriArj Entertainment, Abundantia, Aruna Bhatia, Shital Bhatia, Neeraj Pandey’s Plan C Studios and Hitesh Thakkar. Music of the movie is scored by Vickey Prasad, Manas-Shikhar and Sachet-Parampara.